We know how to deal with the IRS because we used to be the IRS. 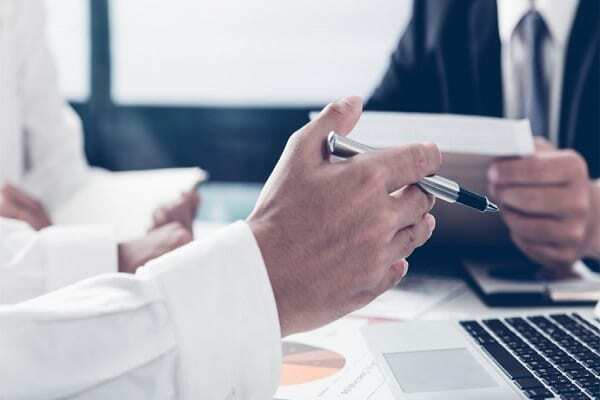 We offer a free initial consultation at any stage of your dealings with the IRS and state tax authorities, including a free analysis of an Offer In Compromise. We’ll give you our honest assessment of your situation. It’s never as bad as you might think. We’ll help you get the best possible deal. We won’t lie to you about your chances of success. Our staff is skilled at gathering your financial information so the IRS experts can do the higher level work. This saves you time and money, and makes it easier for everyone. Did you receive a notice from the IRS? Not all notices are bad news. Sometimes they’re writing to let you know you’re getting a bigger refund, albeit rare. Tell us about any letters or notices right away. Tax notices generally come with a deadline for response and we can’t help as much if the deadline has passed. If you call one of those late night 1-800 Get Tax Help Now numbers. Call us for a comparative regarding what can be done for you and cost. We will be frank with you. The National firms don’t have any additional magic tools that we don’t have, and they often charge a lot of money, and may not complete the job. That leaves you out of money and no better off. The IRS NEVER uses phone calls or emails as the first way to contact you. If you get a call asking you to pay with a prepaid debit card, hang up! The IRS always sends you a letter first. They only call or show up in person if you DON’T respond to the flood of letters they send. NEVER, EVER TALK TO THE IRS, WITHOUT REPRESENTATION. THEY DON’T WORK FOR YOU. Call us today for your free, no obligation consultation on your IRS or state tax problems. Finances can be tricky, but we’re here to help.